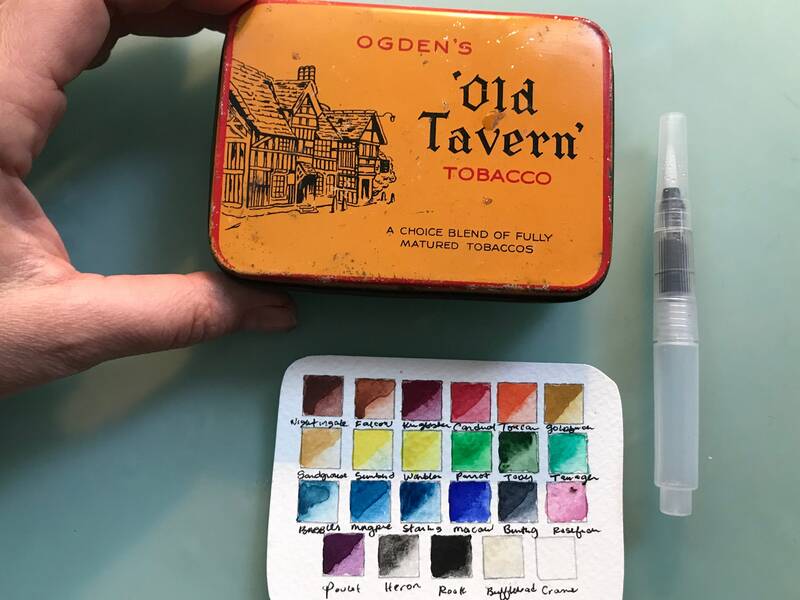 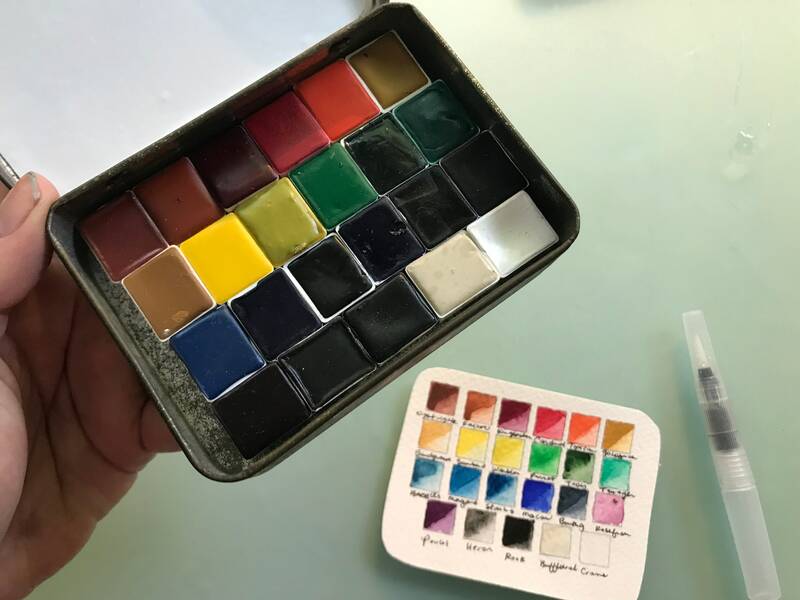 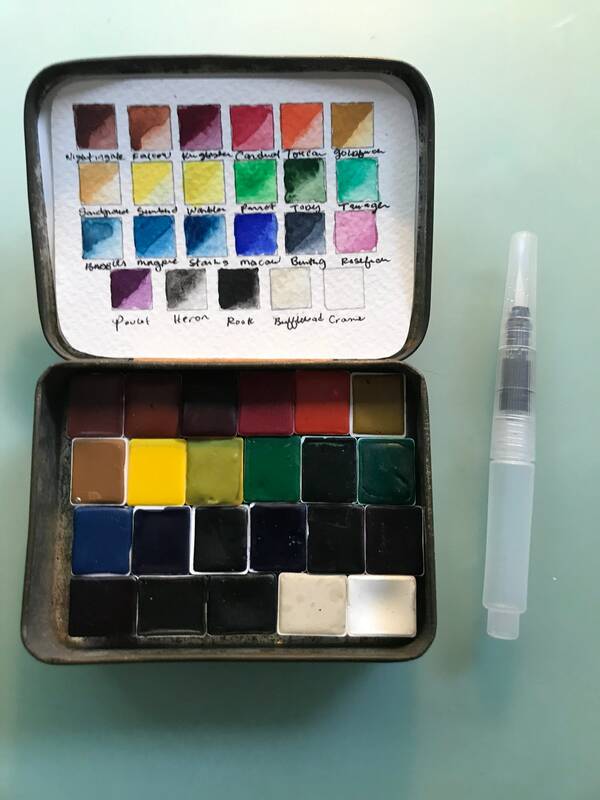 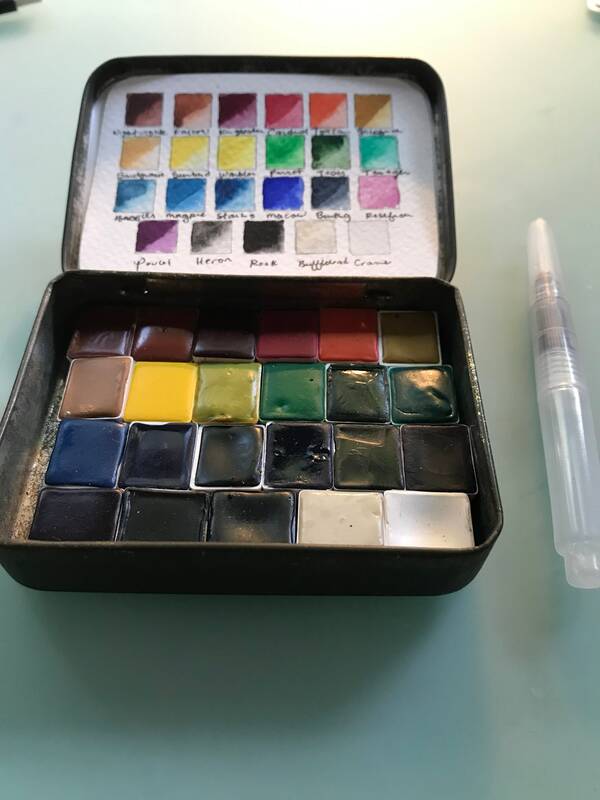 This kit includes 23 HALF PANS handmade watercolor paint in Vintage OGDEN's OLD TAVERN TOBACCO with water brush. 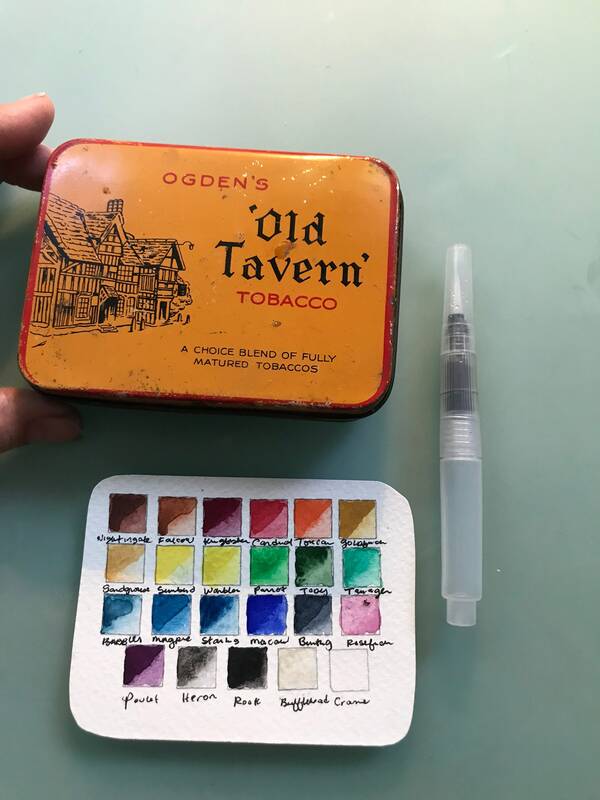 Tin is very old and has wear, which is what we love about it. 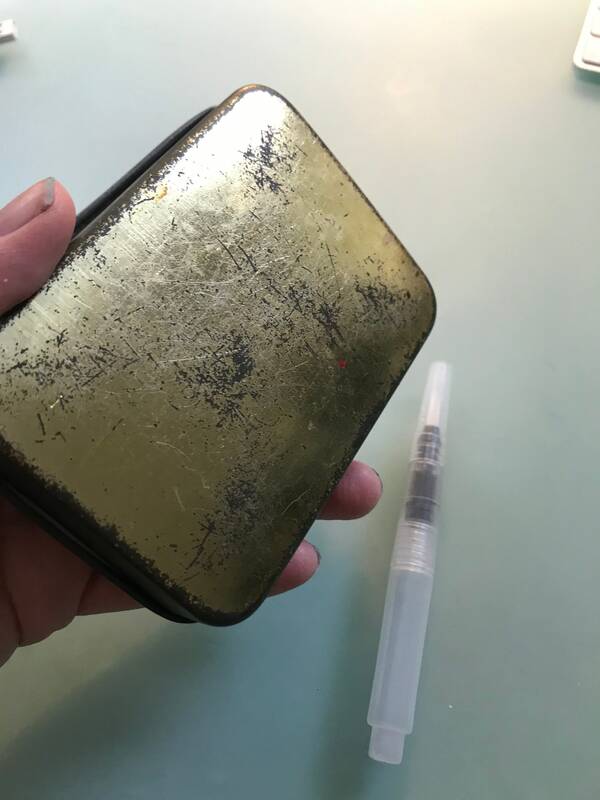 Each half pan has a strong magnet attached to keep in place.